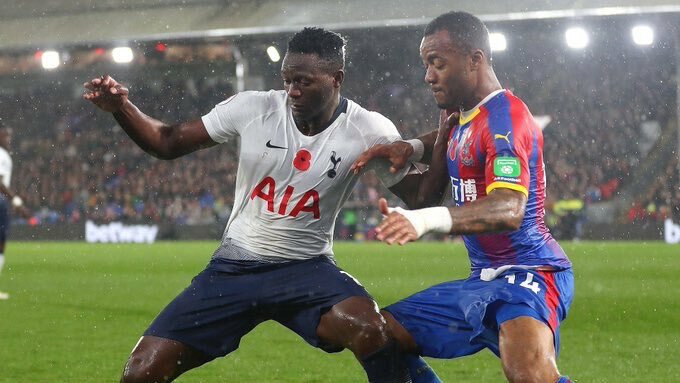 Harambee Stars skipper Victor Wanyama played the entire length of Tottenham Hotspur’s game away to Crystal Palace at Selhurst Park – South London Saturday. Spurs emerged winners after edging out the hosts 1-0 through Juan Foyth’s second half goal to cement their fourth spot in the Premier League standings. It was Wanyama’s first ninety minutes show for the coach Mauricio Puchettino’s outfit this season. The midfielder is coming from a nagging knee injury and has been steadily working his way back into the starting eleven. “To come here after five games in 13 days and that personality is what pleased me the most,” he added. Mauricio’s renewed faith in Wanyama comes at a time the former Southampton man is being linked with away move from the club with Man City, Man United, West Ham and Roma of Italian rumored to be interested in his signature. The big return for the “Lion of Muthurwa” is good news for Harambee Stars who are chasing a spot in the Afcon 2019 in Cameroon. The Kenya’s senior men’s team is scheduled to play a doubtful match against Sierra Leone in the qualifiers next week in Nairobi. A win, if the match is played, will see them back to the biggest stage of African football for the first time in 15 years. Sierra Leone remain banned by FIFA and if the ban is not lifted before then, then the match will stand cancelled.